SCORE SWEET TECH LOOT WITH ZOTAC AND UNLOCKED! 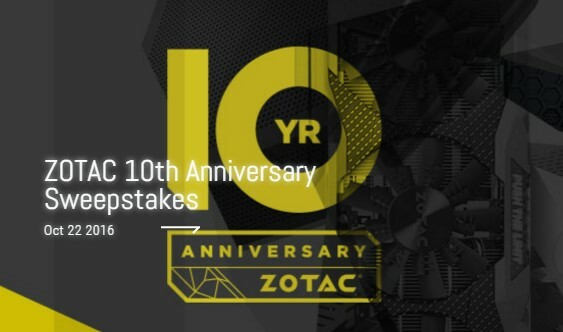 Join them as they stream CS:GO and give away killer prizes to celebrate ZOTAC’s 10th Anniversary! HINT: Click the link for the sweeps and scroll down to find the spot to enter. You can actually get up to SEVEN entries. See the official rules for details! This Sweepstakes ends on 11/14/16 and you can ENTER ONCE to win.